So what happened? What went wrong and how can you learn from Larry’s mistakes and protect your blog? Get his web developer to fix it (his imaginary one), if he could not understand the long insanity of craziness they sent over for him to decode solo. Guess which one Larry was about to do? Oh yeah, he was about to commit virtual blogging suicide and just delete everything! However, I calmly talked him down from the cyber ledge and asked him to allow me to take a look at everything to see, if I could fix his sites. The painstaking emails and files that Larry got from his hosting looked like incomprehensible gibberish to him, thankfully they made sense to me. Phew! I asked him to give me a few days, simply because the sheer amount of sites to fix and files to delete was pretty massive. And did I mention his hosting company would not let him just fix one site at a time… No, it ALL had to be fixed first before they would give him the green light on any of his blogs. It was literally… All or nothing! It took me about two days of 5-6 hours each to get everything back up and running. I’m not sure what a traditional web developer would have charged him… However, at anywhere from $50-100/hr, lets just say it would have been a pretty penny! 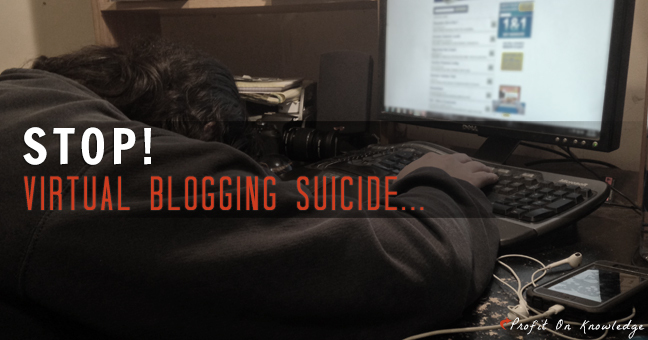 Here are the steps Larry did not do, that you can do right now… To prevent virtual blog suicide. 1. Have a strong password and update it every 6 months. One of the simplest ways to protect yourself. Make sure it’s memorable to you. The longer the better! 8 character minimum. Have caps and lowercase letters. Don’t use your name or anyone else closely related to you, that goes for your pets too! Real words make it real easy… Consider using acronyms or abbreviations. Include special characters such as ?, !, *, – or #. Do this for your email and social sites too. Don’t auto save your passwords with your browser. If you want to use a password manager, I highly recommend: LastPass or 1Password. 2. Change the default information in WordPress. Don’t use admin, manager, administrator, your name or your website’s name for your username. – If you made this mistake already, you will have to create a new user and delete the old. – Make sure to attribute posts to the new username BEFORE deleting the old. Remove the ‘Hello World’ post. Change or remove ‘Powered by WordPress’ in the footer. Change the site description ‘Just another WordPress Blog’. 3. Keep your plugins, CMS, themes, etc. up-to-date always. Do this for all your sites hosted with your hosting company of choice. When you fail to keep things up-to-date, it creates a breach in security. This is what happened to Larry’s sites. Have multiple WordPress sites? Use a WordPress manager like ManageWP (free up to 5 sites) to make updating faster and manage all your sites in one place. Akismet to protect your WordPress blog against comment spam. to scan for malware, has anti-virus scanning, firewall and much more. Bad Behavior to reduce incoming link spam and malicious activity. 5. Limit access to sensitive information. Don’t store site backups on your server. Disable hackers ability to browse directories by adding “Options –Indexes” (without the quotes) to your .htaccess file. 6. Use a secure file transfer protocol (SFTP). Some people use their file manager through their hosting or CPanel to upload, delete files, etc. This is not as secure as using an SFTP, because file managers often save temporary copies of important files on your server. Do not save your passwords for your FTP login on your SFTP of choice as an extra precaution. I recommend Cyberduck and Filezilla, both are completely free to use. 7. Choose your hosting wisely. A shared hosting plan is not always the best, because if they get hacked, your site(s) most likely will be too. That being said, I’ve personally used HostGator’s shared plan here for clients for many years without fail. Though I make sure my clients have all the above protocols in place too! Dedicated hosting is more secure… However, if like Larry you fail to go with a company with great customer service and fail to do the steps above, you will be left out on your own to fix the problems or hire someone who will. For WordPress sites, this is my favorite dedicated hosting company because of the security and amenities it provides… WP Engine, get it here. 8. Backup your site and have a backup of your backup! Backup Creator is what I use and recommend to my clients, it has great features and a low one-time fee. Or you can have an all-in-one approach with ManageWP by upgrading your plan to either standard or professional for those that like automatic scheduled backups. Keep your backup on your computer, as well as an external hard drive. Also, have an online backup too! Our favorite is LiveDrive (we backup all our files for $8/mo), because yes… Sometimes external and internal hard drives decide to die. Like mine did this past summer! 9. Signup for a CDN (content delivery network). Protects your blog from hackers, spammers, bots and malware by filtering your incoming traffic. recommend the free version of CoudFlare here. We recommend the free version of CoudFlare here. An added bonus is it speeds up your site! 10. When partnering up with someone, never assume they did all the above. Here is where I went wrong! I knew Larry has been online longer than me, and he does know A LOT about blogging… However, like all of us he is not perfect, nor does he know everything. So, when partnering up with someone that already has websites. Make sure they have done the above steps! If after reading this you feel your head throbbing, because it seems like a lot of work… No worries! If you are using WordPress for your sites, then I highly recommend also using WP Engine for serious bloggers and site owners. They have amazing protection and service. If Larry was using them, they would have helped him fix his problem instead of what his hosting company did which was left him on his own to sink or swim. services[at]profitonknowledge[dot]com for even more savings and let us know how we can help you today! And just in case the above was not compelling enough…. P.S.S. Some of the above links are affiliate links. Because, we believe in only sharing what we personally use ourselves, you can buy now with confidence. Thank you for supporting us here at Profit On Knowledge. I was always worried about my blog security but after reading your post I will install the much needed security plugins and make sure to change my password. someone also told me that one should check theme with tac and exploit scanner before applying it. Yes, it’s always a good idea to scan files before uploading them or opening them. We use Studiopress themes so we have no worries about them. However, free themes and ones not from reputable companies are definitely ones that should be scanned Prince! The annoying hackers out their have made me come to my nerves. I am really mad at what they are doing. U hate the hackers and i would really like to hack their mibnd and throw it somewhere away from their body so that they dont use it for the wrong purpose. Wow, what an ordeal! 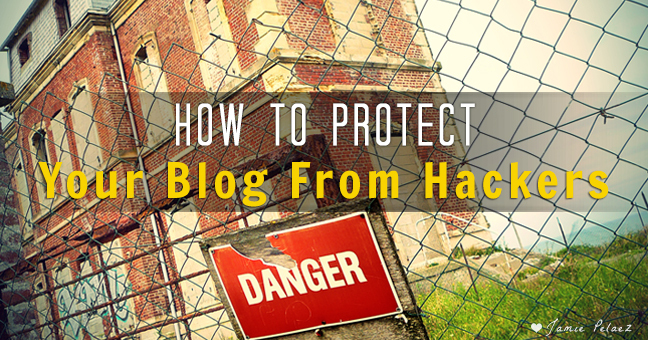 I always worry about blog security for my blogs – I am guilty of not updating my plugins right away, will definitely start doing that and all of your other tips! Thanks for stopping in Tay! And YES!!! It was quite the ordeal. Keep those plugins updated brother! At least I am secured 😀 Well, we all know that blogging is putting our mind and soul + heart and then they’re just getting it out on hand, just like that! Glad to hear you are secure Antoinette! Thanks for commenting! I’m glad you enjoyed the post Enstine. I had quite a task getting Larry’s site back up and running. I was lucky to have Jamie because I was ready to jump. I blame myself though, I’ve been so caught up in producing content and such that I neglected protecting my assets. This was the first real case of being hacked I had in the 12 years I’ve been online. 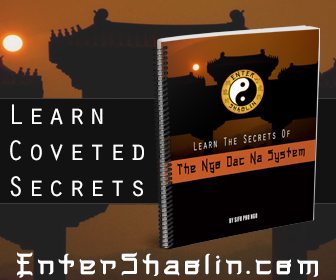 Morale of the story, protect yourself right from the beginning to avoid a headache later. Love you bro! It is my pleasure to help and serve you! I’m looking forward to what the future holds for this site and how we can help people with it! Thanks for this info post and I really like the way your shared this data and I hope you will help us via sharing this type of data in future. You are welcome Manju! We will be sharing plenty more in the future! Glad to see you found value it. If you need any help, just let us know!